Air pollution is associated with several adverse health outcomes and increased mortality. In the Oslo Health Study, an association between long-term outdoor air pollution exposure and bone health was suggested in men aged 75/76 years, but not in younger men or in women. Associations have been found between air pollution and a range of diseases, but few have studied whether bone health differs according to the concentration of air pollution. The aim of this study was to investigate the association between indicators of air pollution and bone health. Self-reported forearm fracture was assessed in men and women 75/76 and 59/60 years (n = 5,976) participating in the Oslo Health Study 2000–2001. In subsamples of the participants (n = 1,039), we studied the relation between air pollution and forearm bone mineral density (BMD) measured by single X-ray absorptiometry. Exposure to air pollution (particulate matter (PM10 and PM2.5) and nitrogen dioxide (NO2)) at each participant’s home address was estimated from 1992 to 2001. We found no associations between air pollution and self-reported forearm fractures or BMD in men aged 59/60 years or in women. In men aged 75/76 years, an increment of 10 units in PM2.5 was associated with a reduction in distal forearm BMD of 64 mg/cm2 (p < 0.05), and with an increased prevalence of forearm fracture after the age of 50 years among current smokers, OR = 7.4 (p < 0.05). Similar patterns of associations were suggested for PM10 and NO2. 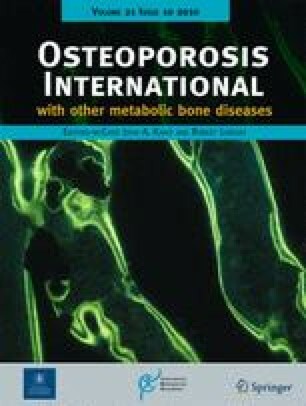 In this study, bone health was not associated with long-term exposure to air pollution in women and in men 59/60 years of age. However, a negative association was suggested in elderly men. Further studies with improved measures of air pollution are warranted. 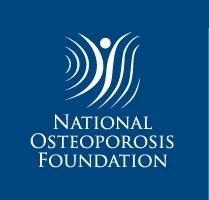 The Osteoporosis sub-study was funded by the Norwegian Research Council and the data collection was carried out by the Norwegian Institute of Public Health as part of the Oslo Health Study 2000–2001. The Norwegian Osteoporosis Foundation supported the project on air pollution and bone health. Finally, we would like to thank Professor Per Nafstad, University of Oslo/Norwegian Institute of Public Health, and the Norwegian Institute for Air Research for providing data on air pollution exposure.